Vatican City, Nov 19, 2017 / 05:52 am (CNA/EWTN News).- Pope Francis on Sunday cautioned against having a “mistaken” idea of God as harsh and punishing, saying this fear will end up paralyzing us and preventing us from doing good, rather than spreading his love and mercy. This parable “makes us understand how important it is to have a true idea of God,” Francis said, noting that the third servant didn't really trust his master, but but feared him, and this fear prevented him from acting. Fear, he said, paralyzes us and so is self-destructive. So when faced with the unfaithful servant in this parable, each of us is called to reflect on what our idea of God really is. This, the Pope said, is a sign of the great esteem God has for us, and having this knowledge ought to help us to take responsibility for our every action. A final appeal he made was for the crew of an Argentine military submarine, who have been missing for several days without a trace. After concluding the Angelus, Pope Francis made his way to the Vatican's Paul VI Hall, where he had lunch with some 1,500 poor and needy in town for the World Day of the Poor. He also offered a blessing for all those eating in other soup kitchens throughout Rome. “Rome is full of these today,” he said, and asked for “a greeting and an applause” for the thousands of others participating in the event. 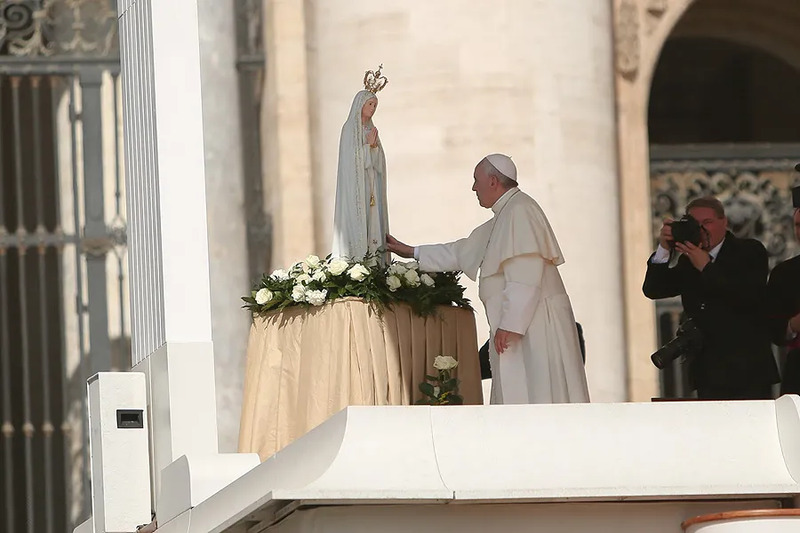 Vatican City, Apr 6, 2017 / 06:02 am (CNA/EWTN News).- The Vatican office which governs the use of the extraordinary form of the Roman rite has given priests permission to say a special Mass for the feast of Our Lady of Fatima this year, noting the importance of the apparition’s centenary. In an April 5 decree the Pontifical Commission Ecclesia Dei gave permission for any priest of the Latin Rite to celebrate a votive Mass of the Immaculate Heart of the Blessed Virgin Mary on May 13, 2017 – the 100th anniversary of the first apparition of Our Lady at Fatima, Portugal. The Marian apparitions at Fatima are among the most famous of Mary’s appearances. 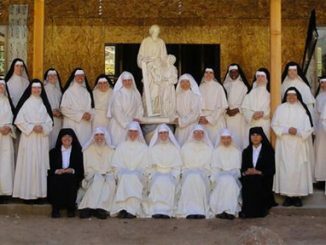 On May 13, 1917, siblings Francisco and Jacinta Marto – age 9 and 7 – and their cousin, 10-year-old Lucia dos Santos, were taking their sheep to graze when they saw a figure of a woman dressed in white and holding a rosary. He will visit the chapel of the apparitions and bless candles there on May 12. The following day, he will say Mass in the square before the shrine and greet the sick. He is also scheduled to meet with Portugal’s bishops, president, and prime minister. 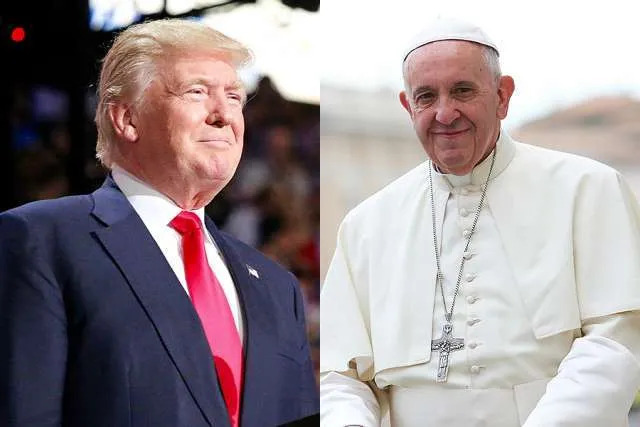 Vatican City, Jan 20, 2017 / 10:58 am (CNA/EWTN News).- Pope Francis congratulated Donald Trump on his inauguration as the 45th president of the United States on Friday, praying that God will grant him wisdom and strength. 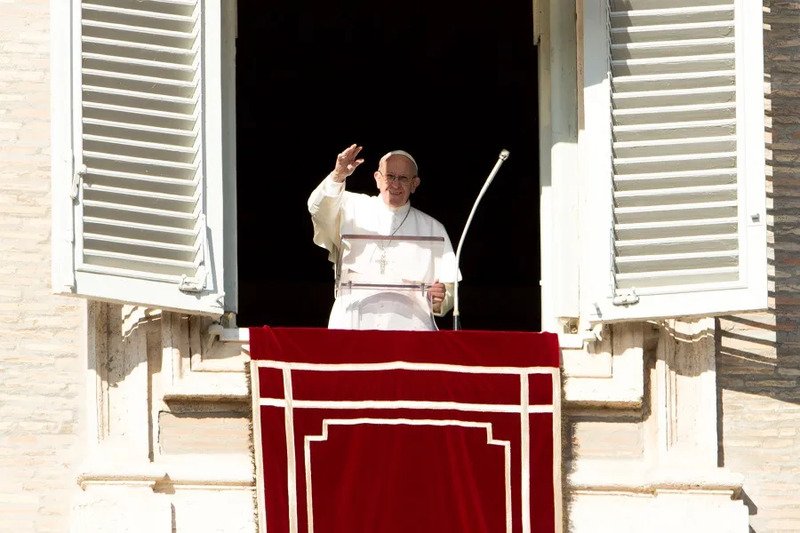 “At a time when our human family is beset by grave humanitarian crises demanding farsighted and united political responses, I pray that your decisions will be guided by the rich spiritual and ethical values that have shaped the history of the American people and your nation’s commitment to the advancement of human dignity and freedom worldwide,” the Pope wrote in his Jan. 20 message sent to Trump. During his inaugural address, Trump vowed to be a voice for the “forgotten people” of the United States. “We assembled here today are issuing a new decree to be heard in every city, in every foreign capital and in every hall of power. From this day forward, a new vision will govern our land. From this day forward, it’s going to be only America first – America first,” Trump stated. In November Trump pulled off what was for many a surprising victory in the U.S. presidential election. Though he was widely seen as the underdog, Trump came out on top with 289 electoral votes, well over the required 270 needed to win. While the tone of Francis’ congratulatory note was warm and optimistic, many, Catholics in particular, fear there could be tension between the Pope and the new president when it comes to immigration. Reservations about the topic trail back to comments Pope Francis made during his Feb. 19 inflight news conference en route from Juarez to Rome responding to criticism of Trump, who had called Francis “political” and threatened to build a wall along the U.S.-Mexican border. Pope Francis has been an outspoken supporter of migrants’ rights and the need to build bridges rather than walls. During his visit to Mexico, he celebrated Mass near the U.S.-Mexico border, where Trump’s wall would go up, in a show of support to the many South and Central American migrants, including thousands of unaccompanied minors, cross each day, many of whom are seeking to escape situations of poverty, drugs and violence. After news of Trump’s election broke in Europe, Vatican Secretary of State Cardinal Pietro Parolin offered his prayers that the president-elect would promote peace in a world torn by conflict, but said that when it comes to immigration, we can’t predict the future. “We take note with respect the will of the American people in this exercise of democracy which they tell me was characterized by a large turnout. Then we congratulate the new president, so that his government can be truly fruitful,” the cardinal told Vatican Radio Nov. 9. “Normally they say: it’s one thing to be a candidate, it’s another thing to be president, to have a responsibility,” he said. Although Trump’s fiery campaign rhetoric has been problematic in the past, outgoing U.S. Ambassador to the Holy See Ken Hackett told CNA last week that he believes the new president will leave that sort of language behind. “It would only be speculation, but what I do expect is that the rhetoric of the campaign will be put behind him and the reality of governing will kick in very soon,” he said. Do not fear, for I am with you until the end of time, says the Lord. The man at the center of this story was not a scrooge. He was a kind, decent, good man, generous to his family and others and upright in his dealings with others, but he just didn’t believe all that incarnation stuff which the churches proclaim. It just didn’t make sense to him and he was too honest to pretend otherwise. He just couldn’t swallow the Jesus story about God coming to earth as a man. He told his wife, ” I am truly sorry to distress you, but I’m not going to church with you this Christmas Eve.” He said he would feel like a hypocrite, that he would rather stay at home, but that he would wait up for them. And so, he stayed home, and they went to the midnight service. Shortly after the family drove away in the car, snow began to fall. He went to the window to watch the flurries getting heavier and heavier, and then went back to his fireside chair and began to read the newspaper. Minutes later he was startled by a thudding sound, then another and then another, sort of a thump and a thud. At first he thought someone must be throwing snowballs against the living room window. But when he went to the front door to investigate, he found a lock of bird, huddled miserably in the snow. They’d been caught in the storm, and in their desperate search for shelter, had tried to fly through his large landscape window. Well, he couldn’t let the poor creatures lie there and freeze, so he remembered the barn where his children stabled their pony. That would provide a warm shelter if he could direct the birds to it. Hurriedly, he put on a coat and galoshes and tramped through the deepening snow to the barn. He opened the door wide and turned on a light, but the birds did not come in. He figured food would entice them in, so he hurried back to the house, fetched bread crumbs and sprinkled them on the snow, making a trail to the lighted wide-open doorway of the stable. To his dismay, the birds were too frightened of him to respond, and they continued to flop around helplessly in the snow. He tried catching them. He tried shooing them into the barn by walking around them, waving his arms. Instead, they scattered in every direction except into the warm, lighted barn. Then he realized that they were afraid of him. He resigned himself, thinking, ” To them I am a strange a terrifying creature. If only I could think of some way to let them know they can trust me, that I am not trying to hurt them, but to help them. But how?” Any move that he made tended to frighten them, confuse them. They just would not be led or shooed, because they feared him.